â€¢ Made of cast copper, tin plated to resist corrosion. â€¢ Fits 6 to 2/0 gauge cable, positive or negative posts. Bolt locks firmly from left to right side. 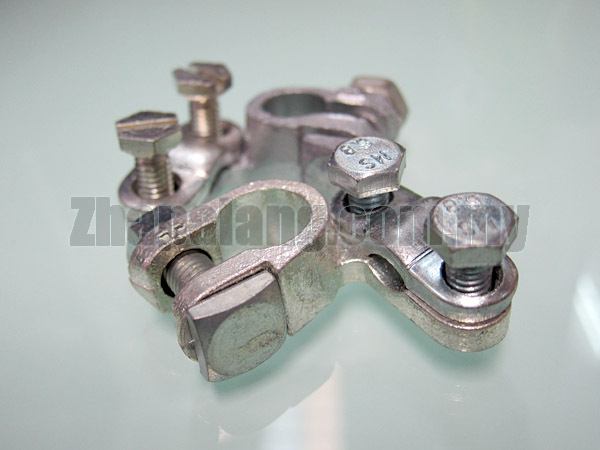 Imbedded steel nut eliminates stripping.